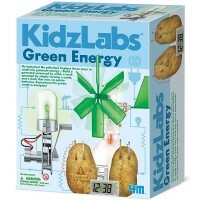 Build an alarm clock that is powered on energy from 2 potato spuds, using this energy learning small science kit for children. 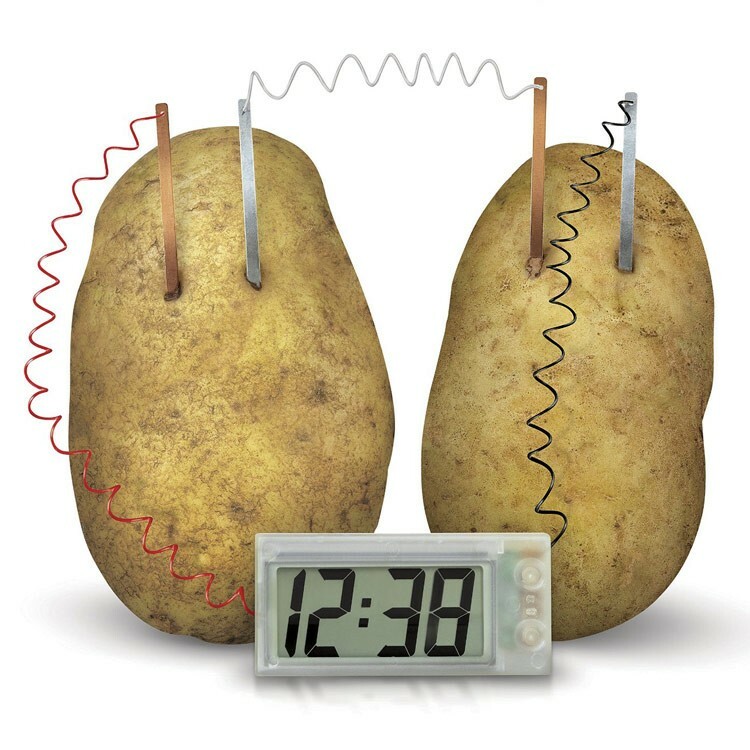 You may know potatoes as good source of potassium, but did you know they can be used to power a real alarm clock? 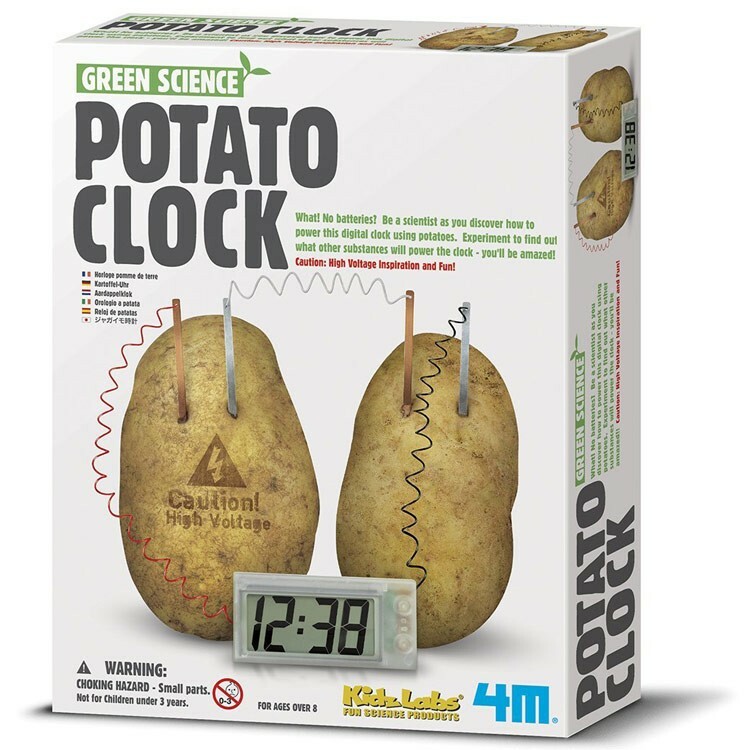 The Potato Clock Science Experiment Kit by 4M contains a digital clock and all the building parts needed to run it, expect you provide the spuds. 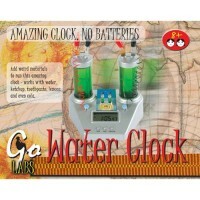 Experiment to find out what other substances will power the clock - you'll be amazed! 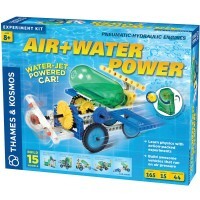 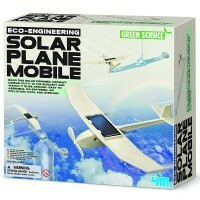 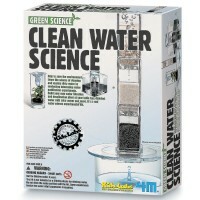 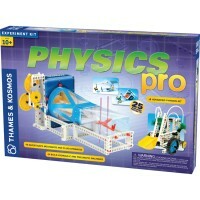 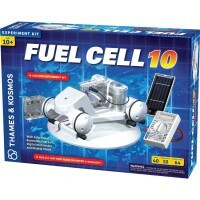 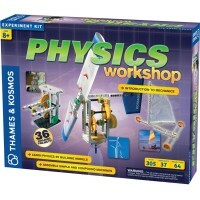 This small in size, but big in educational value, green science kit from Educational Toys Planet presents the alternative source of energy and offers fun hands-on science fun. 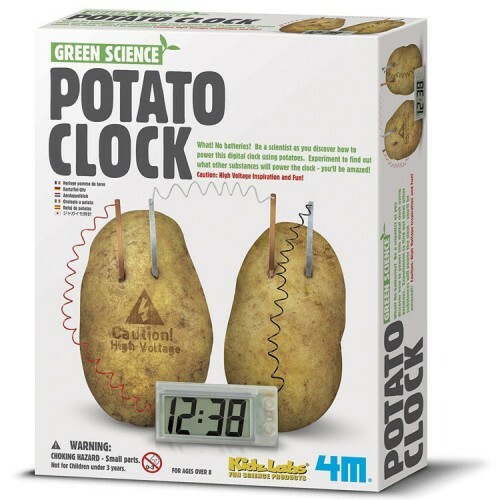 The Potato Clock Science Experiment Kit comes with the detailed instructions. 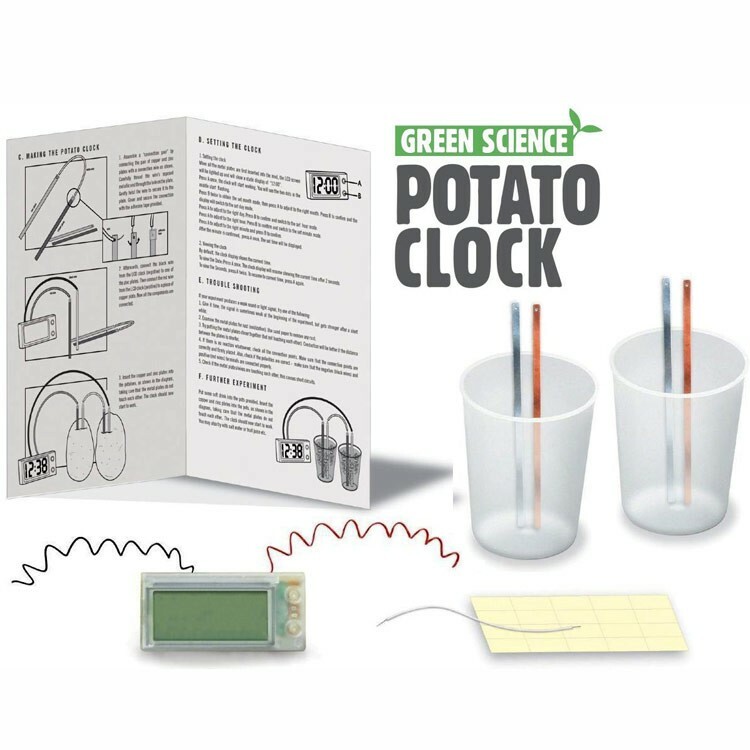 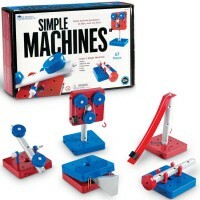 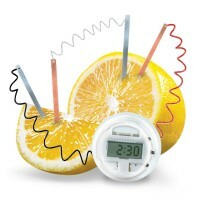 Dimensions of package 3.25" x 4" x 2.5"
Write your own review of Potato Clock Science Experiment Kit.